"To forgive is to set a prisoner free and discover that prisoner was you." - Lewis B. Smedes. Forgiveness is a key component to letting go of the past and moving forward; forgiveness of both self and others. If we don't offer ourselves compassion it's hard to offer it to anyone else. Forgiveness does not mean we condone the actions, nor does it mean we have to subject ourselves to it again. We don't even have to reconnect with the other person if that is best, forgiveness is something we do for ourselves. By forgiving we allow ourselves to put down the heavy baggage of hurt, pain and anger and move forward with increased lightness and freedom. Consider what opportunities for forgiveness exists in your life! If you work with crystals lepidolite is wonderful for supporting forgiveness. 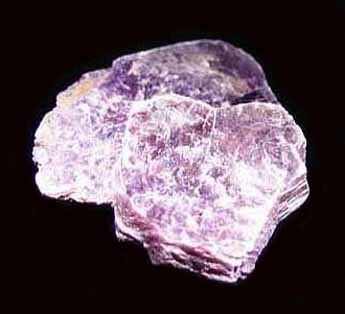 Lepidolite is a lovely lilac colored lithium mica, it has a soothing tranquil energy and also supports the third eye chakra/intuition. The lepidolite image below is from www.auburn.edu.